DRPU software, an emerging name in today's growing IT sector market offers user friendly software products of highest quality to clients worldwide. Our mission is to create and develop various software solutions helpful in fulfilling customer's demands. Company is fully focused to expand and improve the product's features from time to time according to the user need and requirement. 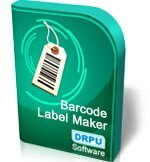 They provide barcode labeling and printing solution to Manufacturing, Healthcare, Inventory Management, Transportation, Pharmaceutical, Automobile Industry, Retail Sector, Graphic Designing, Postal Services, Telecom Industry, Electronic and Chemical Industry, Price item marketing, Financial services and other similar organizations.